We are pleasure to introduce our selves as a exporter supplier of charcoal iron no. 8 & no. 9 if any one having this of product requirement please contact us. Charcoal Iron has property to withstand corrosion for hundred of yrs. 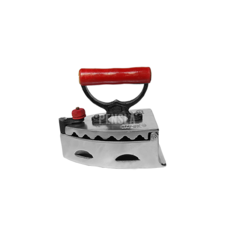 Charcoal iron has a smooth surface making it ideal for use to remove wrinkles from fabric . Charcoal iron are economical and easy to use Ironing or smoothing is the work of using a heated tool, or tools, (an iron) to remove wrinkles from fabric. Ironing works by loosening the bonds between the long-chain polymer molecules. Charcoal Iron, which is safe to use, require negligible maintenance and used in households. These have been appreciated by clients not only for corrosion resistance but also for durability. Procured from renowned vendors, Charcoal Irons are light in weight and conform to international quality standards Available in size 8 & 9 no. We are providing Charcoal Iron, which is safe to use, require negligible maintenance and used in households. These have been appreciated by clients not only for corrosion resistance but also for durability. Procured from renowned vendors, Charcoal Irons are light in weight and conform to international quality standards. 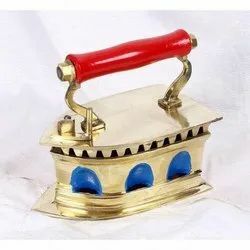 We are producing charcoal iron (tailor special) and as the name suggests this has been designed for the tailors who need it to keep all the clothes made by them well ironed before delivery.